Sticking to the schedule – 3rd Monday in the month at 7:30pm – we will be back at the Royal Oak next week. But one item on our agenda will be whether to stick with a constant venue, or to take the #dartfordtweetup ‘on tour’ around the Borough, so that we are handy for different people on each occasion. This was raised on twitter during the last few weeks – not least out of admiration for the George and Dragon at Swanscombe. We can discuss this thoroughly on the night but for those of you actually check this post rather than just see the reminder tweet, I’m attaching a warm-up poll. If you’re really interested you can also leave a Comment suggesting new venues, or explaining your preference to stay central. The last tweetup had 10 people, but that included two new faces, so the overall pool of Dartford uptweeters is still growing. The gatherings are taking on a certain character, which is something else we can talk about next time. With a leavening of discussions on football and music, the overall tone of the thing is quite “civic”. That’s maybe not surprising since the people who are most visible to each other as Dartford tweeters are those who tweet about Dartford… so that interest is what we most have in common. I say “civic” rather than “political” because although several regulars are councillors, and party political rivalry occasionally surfaces, the conversations are more about the town, planning, history, and increasingly about doing things for/to the town on an innovative and maybe volunteering basis. There seems to be some appetite growing around doing [and organising/facilitating] things online and off, which are pro-Dartford and politically non-aligned. It also means we are becoming more interested in parallel projects such as the Dartford Arts and Culture Network and Dartford Big Local… plus how to share and connect between them. The reborn Dartford Matters , and the manner of its rebirth, may also be part of that story. We can talk about what all this means on Monday. I think this atmosphere of ‘non-alignment’ is distinct from another discussion about whether party political jostling amongst councillors via twitter is a waste of the channel. 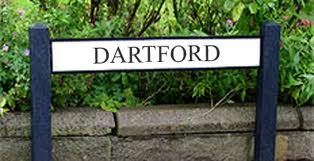 If there is an overlap between the two topics I suppose it’s that most councillors who come to the #dartfordtweetup will tell us that doing things to help Dartford, make it better and help people is their main motivation and what they spend most of their ‘councillor time’ doing. That’s certainly borne out by the conversations we’ve all had at the Royal Oak, if not by some of the threads on twitter – which I aim to blog about separately. But before all that, we should maybe pause and confirm that we are happy for this to take root as the character of the #dartfordtweetup – i.e. a social gathering but with a strong leaning towards ‘civic’ matters? I ask because monthly I tweet to over 50 people with reminders for the tweetup. About 20 of them have been to at least one gathering, or have only been prevented by circumstances. At least another 10 are people who, amongst lots of tweeting about other things, have expressed views about local issues or events. The remaining 20 largely seem to be sociable people who might come along to the right kind of thing, on the right night, if they have time… but aren’t fussed either way about ‘civic’ stuff. Nobody has ever taken me up on the offer to stop sending them reminders if it’s of no interest. So outside the ‘core 20’ there are 30 people who haven’t told me to **** ***! go away, but never come. Are we happy to settle in with the way the group hasnaturally evolved, perhaps gradually picking up a few more people as the weather picks up etc. Or do we want to actively grow this into a bigger and more eclectic thing? If the latter, one thing the regulars could do is adopt someone they think might enjoy it [yes, it is for fun after all] and persuade them to come along next week. The George & Dragon in Swanscombe is an inspired choice Nick. I’ll come if you hold it there, it is one of the best pubs in the area. Thanks Simon. I’ve added you to the dartfordtweetup list on twitter. We’ll keep you posted on the George & Dragon. March 17th #dartfordtweetup will still be at the Royal Oak – 7:30pm. But we’d like to have the April meet at the George & Dragon – once I’ve had a chat with them about it.